We are teaming up with the Salvation Army again this year to help bring joy to the less fortunate children in our community. 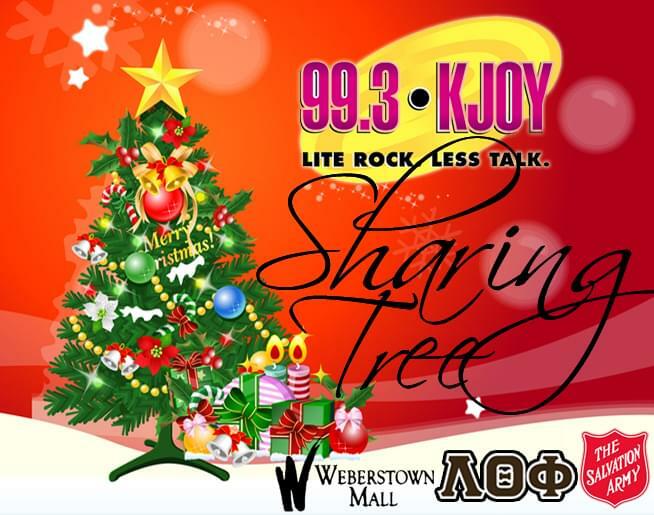 Find the KJOY “Sharing Tree” all week long inside Stockton’s Weberstown Mall near the front entrance. Pick a card from our tree and purchase a gift for a child whose name appears on that card. Return the gift to the “KJOY Sharing Tree” and the Salvation Army will make sure it’s delivery to that child in time for Christmas! Help brighten the spirit of the less fortunate this holiday season with the Salvation Army, Weberstown Mall and KJOY.